Based on the United Nation’s records, Canada is one of the most popular countries that receive a high number of immigrants every year. A large percentage of these immigrants are internationals willing to obtain permanent residency or citizenship in Canada. The reasons why people migrate to Canada and seek citizenship are not farfetched. For its citizens, the country provides a free healthcare system( although this is catered for through tax paid by the citizens), it has adequate facilities for the disabled and elderly, there is free public education, low crime rates, high standard of living among several other benefits. To be factual, the grass does not just look greener in Canada, it is actually greener than that of many other countries. However, the process of becoming a citizen of Canada is not in any way an easy task, it is time consuming and requires dedication. You must first determine your eligibility to apply for a Canadian citizenship and meet certain prerequisites. You must also possess all the necessary requirements as stated by the Immigration, Refugee Citizenship Canada(IRCC). This article is designed to provide you with all necessary information you need to know before you go ahead to apply for citizenship of Canada. Find out if you are not already a Canadian citizen: The first thing to find out before you begin to apply for citizenship in Canada is to determine whether or not you are already a Canadian citizen. There are several ways by which a person can already be a Canadian citizen without their knowledge, you could already be a citizen by birth or may have inherited Canadian citizenship from your parents. Tip: follow this link to check if you are already a Canadian citizen. Ensure you are a permanent resident of Canada: To be eligible to apply for citizenship in Canada, you must have a permanent residence in Canada. There are different categories through which you can apply to become a permanent resident in Canada if you are not one already. You can apply through the skilled workers class immigration and through Quebec among others. Permanent residents in Canada are entitled to the several benefits that a citizen enjoys except for voting or election rights and variation in the amount of time they can spend outside Canada. Make sure that you must have fulfilled all the conditions of your permanent residence status such that you must not be under review for fraud or other immigration related reasons and you must not have been served removal order by any Canadian official. Tip: The process of applying for permanent residence in Canada may change with time due to new policies and modifications to immigration regulations therefore ensure you check for current regulations at the time of your application. You must understand one of the Canadian official languages: To be eligible for citizenship in Canada, you must understand either English or French language and have acceptable proof to show adequate knowledge of either. Your application for citizenship in Canada will not be complete if you do not provide this proof. The Immigration, Refugee, Citizenship Canada will most likely reject your application without a proof of sufficient knowledge of English or French language. Ensure you have sufficient knowledge about Canada: This is a very important requirement to successfully apply for citizenship in Canada. You should learn about the history of Canada, the rights and responsibilities of a Canadian citizen, the culture and various institutions in Canada. Tip :During your application process, you will be issued a quiz by the citizenship officer to test your knowledge on all of these. Not having enough knowledge may jeopardise you chances of becoming a Canadian citizen. Meet the time required to have lived in Canada: You must meet a certain required number of days to have lived in Canada before you can apply to be a citizen, this is irrespective of your age or the means through which you have migrated into Canada. To become a Canadian citizen, you must have been physically present and resident in Canada for at least 1, 095 days. 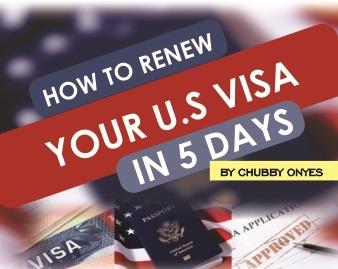 This must be within a period of five years before you proceed for your citizenship application and during which you are already a permanent resident. It is possible also to add to this calculation, the number of days you have spent in Canada as a temporary resident, however, each day spent physically present in Canada as a temporary resident must be calculated as half a day and should also be within the five years before you apply for citizenship. Temporary resident status in Canada includes those legalized to live in Canada as a visitor, student, worker or anyone with a temporary residents permit. Tip: it is advised that you keep a travel journal within the five year period before you apply for your citizenship to help you calculate your time of physical presence in Canada. This will help track your trips out of Canada and also time spent within Canada. To help you create and keep a travel jounal , click this link. You can also find out if you have had enough physical residence in Canada to apply for citizenship by clicking here. Ensure you have an Income tax filling available : Another important requirement for a citizenship application in Canada is the income tax filling. It is required that you have at least three years worth of tax returns from a legalized job within a six year period before your citizenship application. This requirement is under the Income Tax Act and it’s purpose is to assure the Canadian authorities that you have been fulfilling you tax obligations as a permanent resident in Canada. If you are not yet 18 years of age, you will need your parents or guardian to assist you in filling the Canadian citizenship application form. Also, your parents or guardian assisting with the application must be citizens or permanent residents of Canada already or in the middle of their own application process. All the requirements stated above may not apply to an applicant under eighteen years of age if the parents of such applicant are already applying on his/her behalf as stated under the subsection 5(2) of the citizenship application form. It is also possible to apply for Canadian citizenship without meeting the minimum required time to live in Canada However, you must be a crown servant or a family member of a crown servant for this condition to apply. Despite meeting all the requirements and fulfilling required obligations, there exists a number of reasons that may result in an unsuccessful application for Canadian citizenship. Crime: If you have committed a crime, it is possible for the Canadian government to refuse granting you Canadian citizenship especially if you have been involved in such crime within the past four years before applying for Canadian citizenship. Parole or Probation : You will most likely not be granted Canadian citizenship if you are found to be on parole or probation. Imprisonment: Individuals serving imprisonment terms in Canada or outside will not be granted citizenship during imprisonment. Removal Order: any individual that has been asked through a removal order to leave Canada will not be granted Canadian Citizenship. Misrepresentation: An applicant’s Canadian citizenship application can also be jeopardized if his/her application has once been rejected on the grounds of misrepresentation within the past five years of applying. Also any applicant whose Canadian citizenship has once been revoked will not be granted another citizenship especially if such has been as a result of fraud or any other criminal act and occurred within the past ten years of application. War crimes: Individuals found to be involved in war crimes or any crime against humanity and currently undergoing trial for such will not be granted Canadian citizenship. This includes those being investigated for, involved in an appeal, a trial or have been convicted of such crimes. Indictable offense : Individuals who have been charged or are on a trial for an indictable offense in Canada or outside Canada (as long as the offense is deemed equivalent to an indictable offense inside Canada ) will not be granted Canadian citizenship within four years before their application. This also includes those involved in an appeal or who have been pardoned or given amnesty for such crimes. Treason or Terrorism : Committing treason or terrorism while possessing permanent resident in Canada will jeopardise your chances of being granted Canadian citizenship. Armed Force action against Canada: If an applicant while being a permanent resident in Canada is found to have served as a member of Armed Forces that has been involved in a conflict with Canada, such applicant will not be granted Canadian citizenship. Tip: except individuals in extreme situations such as one whose Canadian citizenship was revoked, intending applicants whose situation tally with any of the conditions above are usually advised to delay their Canadian citizenship applications until the stated conditions no longer apply to them.